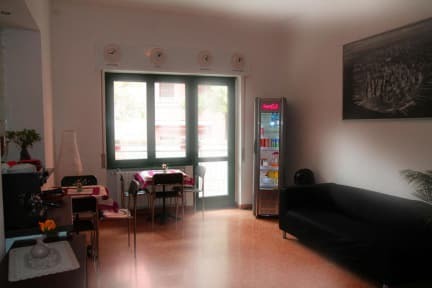 1 week before arrival day..
Music is a recently opened Bed & Breakfast, located in the Village of Journalists, a quiet and elegant area of Milan. Its strategic position allows people to easily and quickly reach the most interesting places of the city. The name Music stems from the desire to express a tribute to music; this idea reflects also the choice of the internal decorations. Entering Music you will find yourself surrounded by an unusual atmosphere, made through special musical ornamentations. 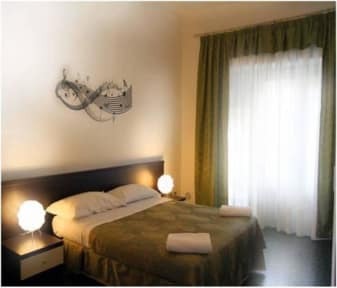 Another distinctive feature of our Bed & Breakfast is the naming of each room with a great music composer of the past. Our B & B offers to the guests many different types of accommodation, such as single, double or triple rooms, with both private or shared bathroom, which are furnished with elegant furniture and draperies. All the rooms have a balcony and a Sat TV; moreover they are joined by internet Wi-Fi at any time. Furthermore, in the morning a delicious breakfast can be tasted. Finally, the 24-hours reception opening, our helpful staff and the luggage storage service will make your stay more pleasant. For mixed dorms Minimum age 18 years. Age 40 maximum. 7-Cancellation policy Customers can cancel their reservation free of charge up to 2 days before arrival (local time).